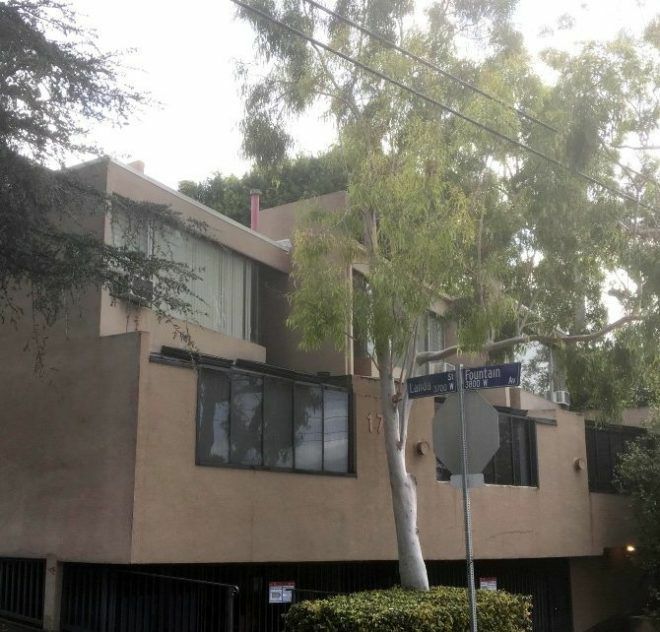 Silver Lake — The Roberts Apartments complex on Griffith Park Boulevard has been nominated as a historic landmark, according to a filing with the Planning Department. The nine-unit apartment block that steps up the hillside was built in 1965. It last sold in July 2017 for $3.85 million. The monument application cited the building’s cubic window patterns, the use of materials and the simplified exterior as some of the property’s prominent architectural features. The apartments were one of several residential projects in Silver Lake and Echo Park that were designed by Morris. Before starting his own firm, Morris, who lived in Silver Lake, had worked for Lloyd Wright, Risley and Gould, and Daniel, Mann, Johnson, and Mendenhall. He was eventually recognized by the Los Angeles architecture community “for his sculptural, cubic aesthetic, and cost-effective designs,” according to the monument application. Morris, who left Los Angeles in the early 1980s, died in 2009 at the age of 87. The Cultural Heritage Commission will decide whether to consider the nomination at its meeting on Thursday, Feb. 7.